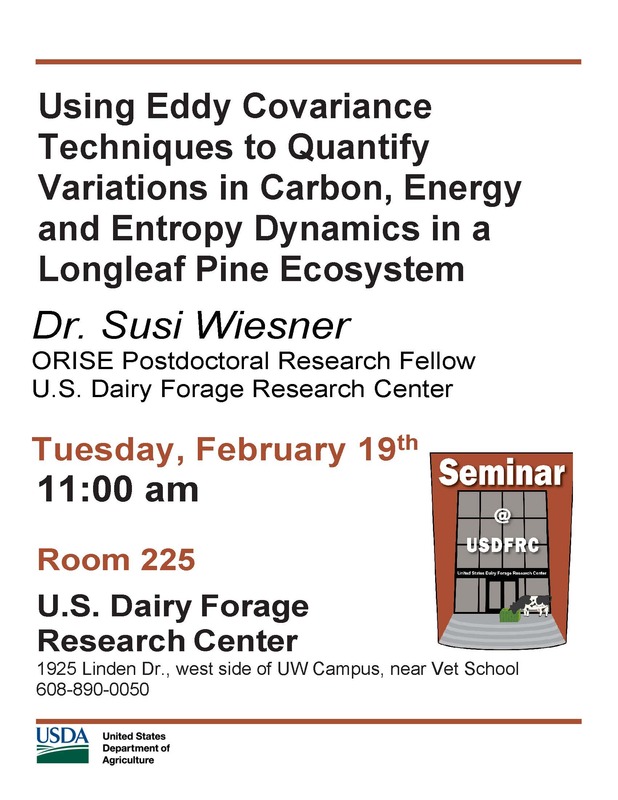 Speaker: Dr. Susi Wiesner, Post-doctoral Fellow (ORISE) Susi joined USDFRC through the ORISE program in October, and is leading the eddy covariance research at the Prairie du Sac farm. She is supervised by Kevin Panke-Buisse, and co-mentored by Ankur Desai of the UW’s Department of Atmospheric and Oceanic Sciences (AOS). She will share some of her dissertation research, and how it relates to the research questions she has planned for Prairie du Sac.